How to Use Noun Plus to improve your writing? Do you think correct English grammar is essential for faculty members only? If you believe that English grammar has no significance in real life, then stop and think again. If you want to convey a written message, then the intended recipient will be able to understand your news clearly if you make use of correct grammar. This subject had been around since ancient days and was a vital component of liberal arts since the medieval period. There may be significant changes in the ways of studying this subject but the reasons for studying this subject even in recent times have remained the same. You can browse the NounPlus website and start using the Grammar check for preventing embarrassing mistakes. However, an in-depth knowledge is crucial because it has numerous benefits. If you want to obtain higher scores in the various university assignments, it is important to have a comprehensive knowledge of the foundation of the language. You can take the help of Grammar checker for reviewing the grammatical errors and spelling mistakes. If you are a student getting ready to leave school and you are considering going for further studies in a University. In that case, you are required to prepare for a university entrance examination. In those cases, it is necessary to study English grammar because this is an important subject of the entrance examination. You have to keep in mind that when various words are combined, then it gives rise to meanings. With such meaningful words, you can then create literature. You will have the capacity to enjoy literature more if you have a solid grasp of the grammar. In-Depth knowledge of the grammar paves the way for effective speech. So individuals will have the ability to communicate better and the words coming out of their mouths would sound more mature and professional. If you want to express yourself clearly to others but you are still having a tough time in this regard then you need to focus on having a solid structural foundation. The more you develop an awareness of this language the better you are in a position to monitor the way the others are using this language. It will help you in the detection of ambiguous terms, and you will be able to enjoy this rich language to the maximum capacity. It will not only assist the teaching faculty of English, but it will be extremely beneficial to the teaching faculty of other subjects too. Any subject requires you to grasp the meanings of the concepts properly, and that is only possible when you have full confidence about the structure of the language. You should conduct adequate research on the internet regarding online grammar checker sites. Make sure that the website you use is a reliable one and offers the complete privacy of the contents. Why Grammar Checker Tool Is Needed? A brilliant speaker does not always lead to a good writer. The content of writing is considered good when it is flawless and free from various silly grammar mistakes. A good writing speaks well of the writer. It is annoying to read content full of mistakes and therefore we must make sure that there are no grammar mistakes as well as spelling mistakes in our content. Sometimes, in the hush of time when we have to present lots of ideas or opinions, we often end up forgetting how to write correctly. An individual might have studied English as a primary subject; there is no guarantee that his writing will be flawless. It is human nature to err, and one should not forget the saying. However, with this tool, the percentage of error or mistakes can be checked appropriately without any trouble. An English grammar checker is an important tool for any computer user with English as their primary medium of communication. A computer is fondly associated with all students for their dynamics of educational purpose. This tool identifies and fixes common typing mistakes. This free tool is very helpful for students who find difficulty in understanding the basics of English language. A grammar checker tool is needed because it is the best tool for people who use the computer as a medium of writing. 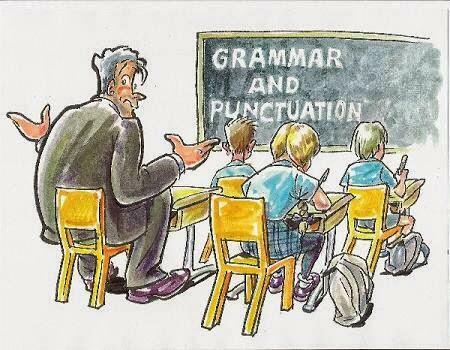 The tool provides the feature of assessing if correct English grammar is used in the piece of writing. The software assesses the content of the writing piece within few seconds and provides necessary corrections. It is very simple and easy to use. With a simple copy paste command on the text, all the errors get highlighted providing the needful correction. Hence correction becomes easy and saves a lot of time with just a few clicks. The grammar check tool is free; you just need to download it from the internet. All silly mistakes relating to spellings, pronunciation, and various other grammar issues are checked and provide 100% accurate results. The use of this tool also offers the learning opportunity from the mistakes as it provides correction. It improves grammar and vocabulary to the students. The use of grammar check tool allows you to have a good, flawless, and respectable presentation, documents, assignments, and books. Good grammar check software is a smart artificial intelligence designed to point out mistakes and errors made by people. Any writing style is assisted with corrections and thus making the presentation or the writing truly flawless. Improper punctuation when two or more sentences are combined, the usage of confusing apostrophes, sentences with unclear antecedents, misplaced modifiers, spellings, grammars etc. all these mentioned common mistakes are checked precisely. Know Why Spell Checker Is Important In Daily Life? English grammar has evolved over centuries and it is quite complex. Even the most accomplished English language writers may miss the most subtlety of its usage or the rules and principles of the English grammar. English is one of the most widely used and commonly spoken language in the world. It is the official language of about 54 countries. English has become very pervasive in many fields of business and other sector. It is one fascinating and a convenient medium of communication to exchange information and conduct business. As it prevails in many parts of the world and also considering the benefits it serves the person speaking it, it has become a thing of necessity to learn and speak the English language in the right manner. It has become a basis for determining how intellectual and smart a person is. If you have the ability and the skill to manipulate the English language by following the rules of grammar, then it is certain that you are going far and wide in a sector where English language prevails. You may not be the only one having trouble with spellings and grammar. As mentioned earlier, even the most accomplished writers make mistakes and now you can be in contention with such a person, because technology and its advancement have made almost everything easy and efficient to perform. The online grammar and spell checker launched by NOUNPLUS are a blessing to the human kind who is prone to making mistakes. It is fortunate that technology has always advanced for the betterment of the people. This simple and powerful software is easy to use and user friendly software designed and developed for offices, businesses and even kids. Your children can now learn faster and more effectively. This software is of great importance for the kids and teenagers whose rudiment knowledge of grammar and spellings can be increased to a great level. It is really helpful for parents who are bound with busy schedules; the software can be the mentor for the children of such parents. Spelling errors can lower your impression and sometimes it can even leave you embarrassed. In the case of a student teacher appreciates and considers a student smart if he/she is able to communicate very well through writing and speaking. The first impression is the last impression, and it really leaves an impression to the listener. Whether you are a person working in an office compiling documents or a writer, spelling errors and punctuation errors can convey a negative impression. Online grammar checker is built based on intelligent and complex logic algorithms based on extensive grammar rules and principles compiled together to produce an intelligent and error free guide to the user. This intelligent software has the ability to identify the mistakes you commit and it provides you with smart features to check contextual spelling errors and prompt with suggestions. Not only your spellings, but it will also help you with the right punctuation to make your sentences convey the right and interesting message as desired. It will greatly help you enhance your vocabulary and reduce plagiarism while writing. It has the ability to also, point out the subtle differences between tenses and the parts of speech (e.g. Noun, Pronoun, Verb etc.) in the English language to ensure right usage of the words.